In a tweet later on Thursday, Trump said the United States "will pay nothing" for Brunson's release, "but we are cutting back on Turkey!" He called Brunson "a great patriot hostage." When Kilic sought to tie conditions to Brunson's release, Bolton waved them aside and said there would be no negotiations. "Release Brunson," Bolton told him, according to the official, who declined to be named. 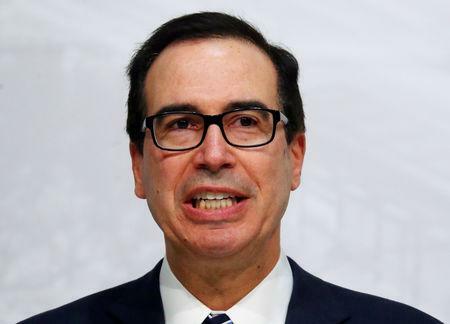 Turkey has sought to persuade the United States to spare Turkey's state-owned Halkbank from a threatened fine for allegedly helping Iran evade U.S. sanctions. Ankara also wanted Washington to hand over Turkish cleric Fethullah Gulen, who lives in Pennsylvania and who Turkey suspects of plotting the coup against Erdogan. Gulen denies the allegations. "They missed a big opportunity. This is very easy to resolve," the administration official said. "They made a big mistake trying to tie this to other things." 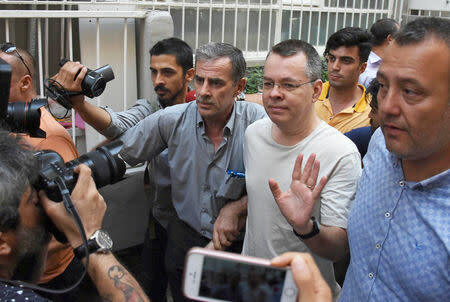 The dispute over Brunson and other frictions between Washington and Ankara have been one reason the Turkish lira has plunged 40 percent this year. Investors also fret over Erdogan's influence over monetary policy.